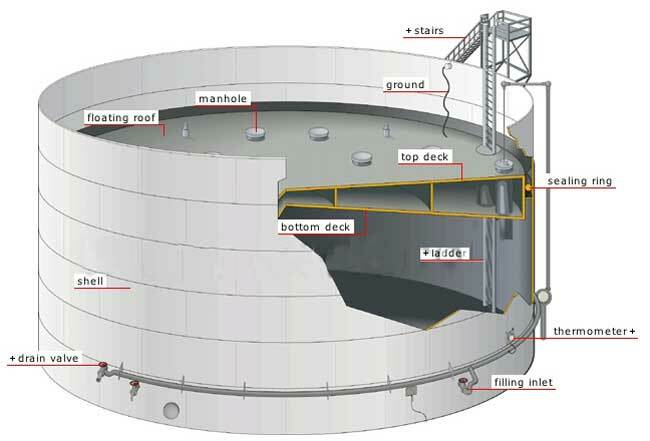 How To Classify Oil Tanks? 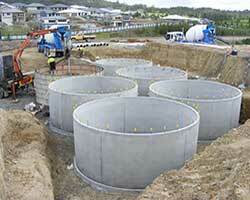 | HOSEUNG Ent Co., Ltd.
Home NEWS How To Classify Oil Tanks? Oil tanks are ideal containers used to store crude oil or other kind of oil, they are widely used in refinery, oil field, oil tank farm, or other industrial production. 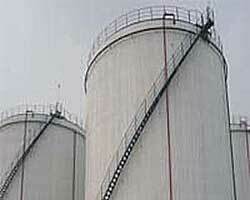 Oil tanks play a very important role in the process of oil and gas storage and transportation. What’s more, oil tanks come in various of sizes and types according to different classification standards so that there are some differences in their installation to some extent. According to the structure, oil tanks can be divided into crude oil tanks, fuel tanks, lubricating oil tanks, edible oil tanks, etc. According to the characteristics of the stored oil, they can be divided into heavy oil tank and light oil tank. According to the depth of burying, they can be divided into aboveground oil tanks, underground oil tanks, and semi underground oil tanks. According to the material, oil tanks can be mainly divided into steel oil tanks, concrete oil tanks, and plastic oil tanks. 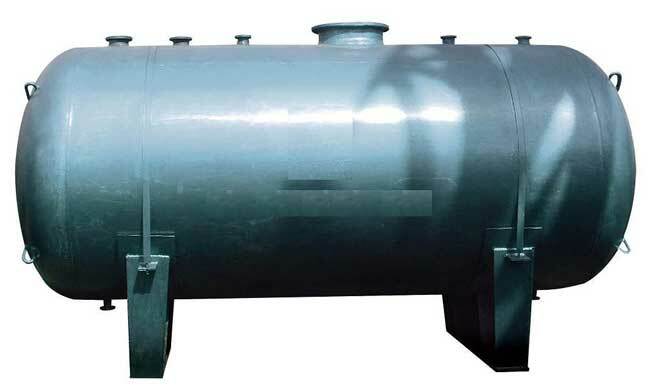 Steel oil tanks can be divided into vertical oil tank (including fixed roof tank and floating roof tank), spherical oil tanksand horizontal oil tank (cylinder tank). 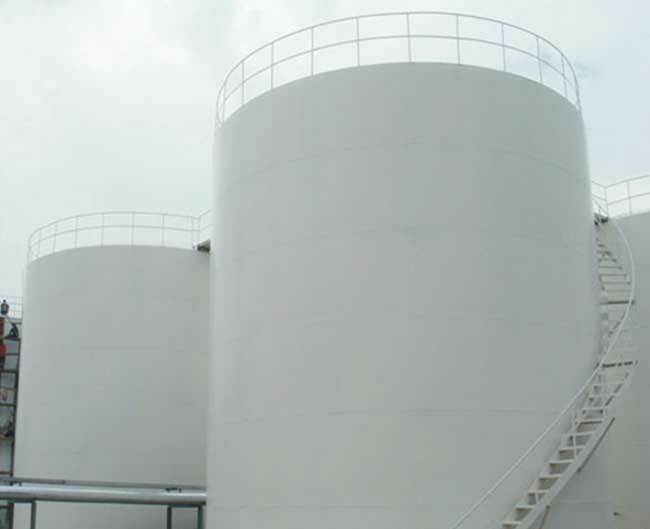 Vertical fixed roof oil tanks, which are composed of fixed tank roof and vertical cylindrical tank wall, are mainly used for storage of non volatile oil, such as diesel oil and the similar oil. 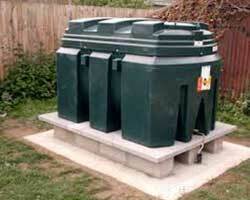 The most commonly used volume of fixed roof oil tanks right from 1,000m³ to 10,000m³. Floating roof oil tanks, which are composed of a floating roof that floats on the oil surface and a vertical cylindrical tank wall, are suitable to store volatile oil, like gasoline and the similar medium, and the volume of floating roof oil tanks are generally larger. 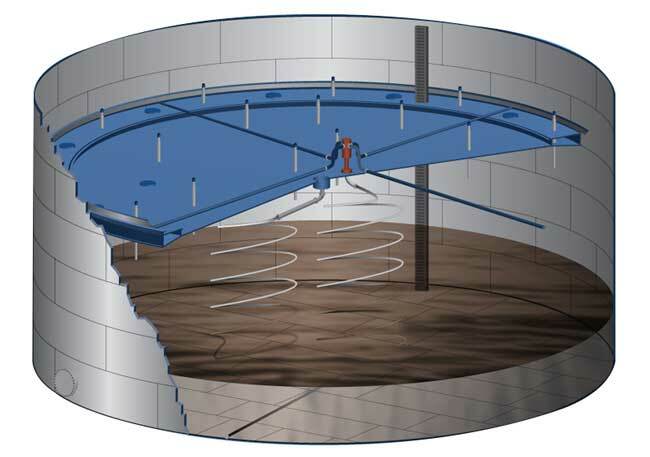 The floating roof of oil tanks can increase or decrease following with the increase and decrease of the stored oil production in the oil tanks, a ring seal is installed between the outer edge of floating roof and tank wall. What’s more, the medium in the oil tanks is always covered by the internal floating roof directly, in order to reduce the evaporation of medium. The capacity of this kind of oil tanks is generally less than 10,000m³, the tank wall adopts sleeve connection method (fillet weld). Jacking method is the most used erection method for vertical cylinder fixed roof oil tanks, that is erecting the tank start from the tank top and install the tank wall from top to bottom layer by layer, with the help of jacking system to raise the tank. Compared with the traditional method, which is erecting the tank start from the tank bottom shell, then erecting the tank wall from top to bottom layer by layer, jacking method is safer as it reduces the risk of aerial work. Floating roof steel oil tanks are equipped with double floating deck roofs or singe deck floating roof which can float up and down, the double deck floating roof can reduce the heat radiation effect, therefore, the oil evaporation loss is small. But when the capacity is larger (more than 10,000 m³), it is generally preferred a single deck floating roof in order to reduce the cost. This kind of oil tanks should be paid more attention on choosing of reasonable sealing device, which required excellent sealing performance, convenient installation and maintenance. This kind of oil tanks consist of both doom roof and internal floating roof, internal floating roof can float up and down upon the liquid level. In addition to the characteristics of external floating roof tank, internal floating roof tank can also ensure the cleanliness of the stored oil. 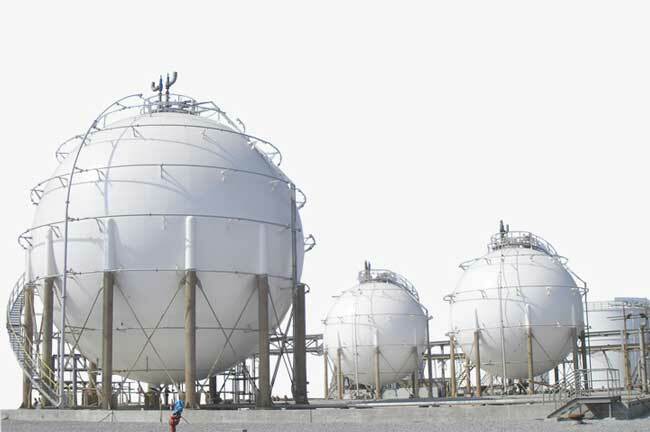 This kind of oil tanks can withstand the working pressure ranging from 0.45MPa to 3MPa, the capacity is generally between 50m³ and 2,000m³.Spherical steel oil tanks are generally used to store liquid petroleum gas. The capacity of horizontal steel oil tanks is generally less than 50m³, it can store gasoline and volatile oil products.